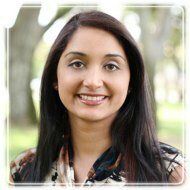 Modesto Therapist: Raman Dhaliwal - Therapist 95356. Children with ADHD/ADD, Child-Parent Conflict, Blended Family Issues, Multi-Cultural Issues. Send A Message To Raman. Thank you for visiting my profile. Are you ready to make positive changes? Have healthier relationships? And ready to find solutions? If so, you have already taken the first step by exploring your options. Depression, anxiety, stress, marital issues, cultural adjustments, and even death of someone close can cause you to feel stuck. No matter what you are facing there is always support, hope and healing. Working with a therapist can help provide you with insight, solutions, and help you develop new strategies for all types of life challenges. We can work together to find ways to improve your health, self-awareness, and well-being. I work with a wide range of emotional and behavioral issues. I have experience working with children, adolescents, adults, couples, and families. My specialties include ADHD/ADD issues, relationship difficulties, school-related issues (504 plans, IEP's, etc. ), anxiety, depression, multi-cultural issues, anger management, domestic violence, social difficulties, and parent-child conflict. I enjoy collaborating with my clients and finding ways to enhance and improve their quality of lives. I focus on providing a safe, comfortable, and nonjudgmental environment in which positive changes can be made. Please call me today for a free consultation to begin our new journey.